The History Colorado Center&apos;s hands-on and high-tech exhibits take you back in time, connecting what was to what&apos;s next. They&apos;re unexpected, thought-provoking and relevant. And most of all, fun! Exhibits range from sports to water conservation to ancient history at this Smithsonian-affiliated museum. Ever wanted to experience what it feels like to launch off an Olympic-sized ski jump? Head to this world-class museum in Denver to feel the wind blowing on your face as you launch off of Steamboat Springs’ legendary Howelsen Hill ski jump. Jump in a Model T Ford and experience rain, sun and mud as you drive across the prairie near Keota, an agricultural town set in 1918 that is now a ghost town on Colorado&apos;s high plains. 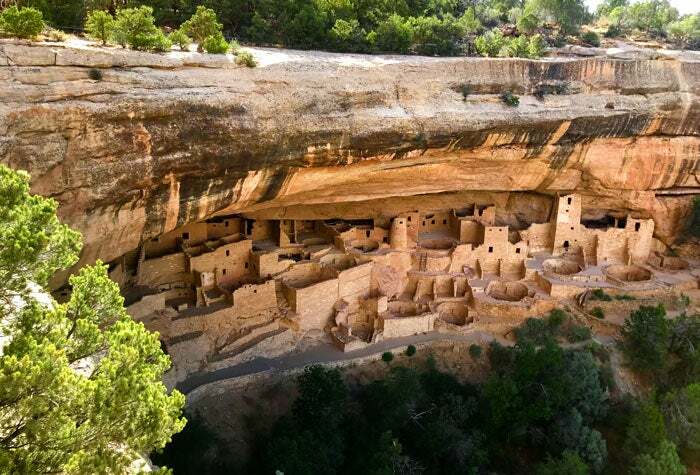 You&apos;ll also discover why you shouldn&apos;t take for granted the water coming out of your faucets in Colorado and what life was like in Mesa Verde National Park 1,000 years ago. While at the History Colorado Center, stop by the We (Heart) Rocky Mountain National Park exhibit, celebrating the people and the places of one of our most cherished spots. We (Heart) Rocky Mountain National Park introduces you to amazing people and the many ways they’ve loved the park. Here are the stories of people who’ve worked at, lived in, visited and loved the park over the last 100 years.